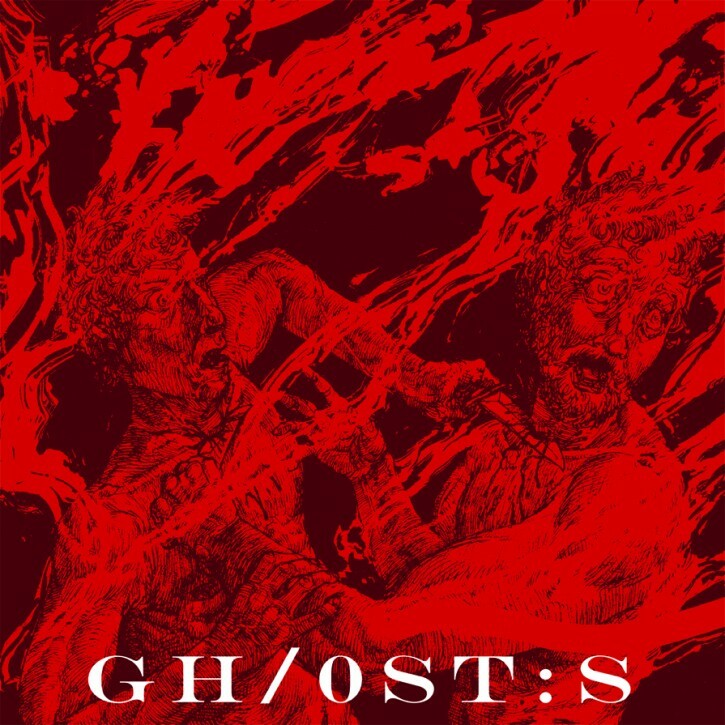 GH/0ST:S, the split album between Tucson’s politically-motivated sludgecore instigators, GODHUNTER, and Oakland’s creators of cinematic, engulfing doom metal, SECRETS OF THE SKY, is now available to the public for digital consumption. A collaboratively-released effort between GODHUNTER’s own Battleground Records and Earsplit’s label, The Compound, GH/0ST:S bears nearly thirty-five minutes of brand new material, each leading off with a mammoth original track and followed by a more serene and experimental track bearing the “ghosts” theme. GODHUNTER’s A-side tracks were recorded and mixed by Ryan Bram at Homewrecker Studios, and SECRETS OF THE SKY’s B-side tunes recorded and mixed by Juan Urteaga at Trident Studios, after which the entire release was mastered by Brad Boatright at Audiosiege. Following its limited edition cassette release for their Southwestern tour together this Spring, GH/0ST:S will see a deluxe LP release on September 30th — the wax unexpectedly missing its initial release today due to being delayed in manufacturing — pressed on 180-gram black/white swirl wax in a run of 300 copies each including a digital download. But the digital release is today available for purchase via Bandcamp, and to help celebrate, Revolver Magazine is hosting an exclusive stream of the entire LP. Let GH/0ST:S engulf you courtesy of Revolver at THIS LOCATION. Digital orders for GH/0ST:S can be placed HERE and the vinyl preordered HERE. Both GODHUNTER and SECRETS OF THE SKY are confirmed to perform at Salt Lake City-based LuciFest, also joining Demon Lung, Reproacher, Sorxe and more, the first weekend of October. Two weeks later, both bands will also take part in Southwest Terror Fest III: The Western Front; GODHUNTER taking the stage on Friday, October 17th with Goatsnake, Pelican and Eagle Twin, and SECRETS OF THE SKY the following evening with Primitive Man, North and Windmill Of Corpses. 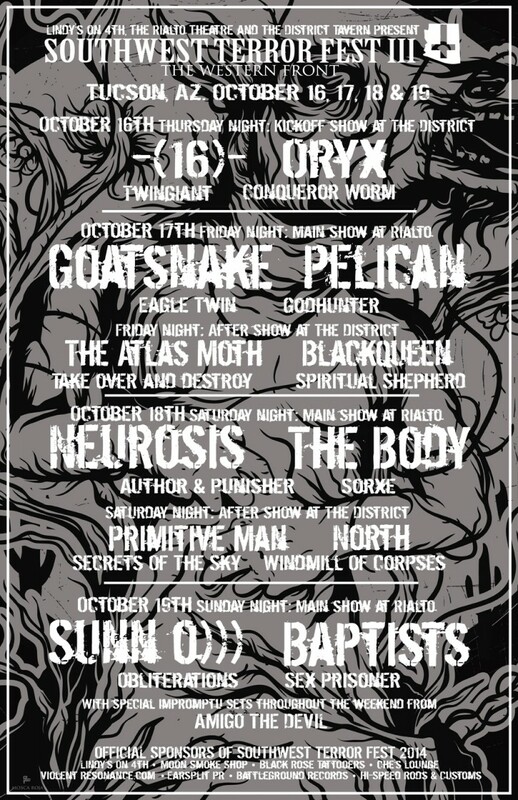 GODHUNTER will bridge both performances as part of a twelve-date tour with Phoenix-based Sorxe. GODHUNTER is in the process of recording and finalizing several upcoming recordings, including several splits to emerge in early 2015, followed by the band’s second LP which is currently being devised. SECRETS OF THE SKY will return to Trident Studios in the coming weeks to record their second album for release in early 2015 as well. Stand by for new info on both bands’ recording and live plans in the months ahead.